This is “Types of Informative Speeches”, section 16.2 from the book Public Speaking: Practice and Ethics (v. 1.0). For details on it (including licensing), click here. Identify several categories of topics that may be used in informative speaking. Describe several approaches to developing a topic. For some speakers, deciding on a topic is one of the most difficult parts of informative speaking. The following subsections begin by discussing several categories of topics that you might use for an informative presentation. Then we discuss how you might structure your speech to address potential audience difficulties in understanding your topic or information. These specific purposes reflect a narrow, but interesting, approach to each topic. These purposes are precise, and they should help you maintain your focus on a narrow but deep slice of knowledge. There is a great deal of information about each one of these examples. In order to narrow the topic or write a thesis statement, it’s important to recognize that your speech should not be a biography, or time line, of someone’s life. If you attempt to deliver a comprehensive report of every important event and accomplishment related to your subject, then nothing will seem any more important than anything else. To capture and hold your audience’s interest, you must narrow to a focus on a feature, event, achievement, or secret about your human topic. Without a limited purpose, you will find, with any of these topics, that there’s simply too much to say. Your purpose statement will be a strong decision-making tool about what to include in your speech. Specific Purpose: To inform the audience about the purpose of the Iditarod dogsled race. Central Idea: The annual Iditarod commemorates the heroism of Balto, the sled dog that led a dog team carrying medicine 1150 miles to save Nome from an outbreak of diphtheria. Diphtheria broke out in a remote Alaskan town. Dogsleds were the only transportation for getting medicine. The Iditarod Trail was long, rugged, and under siege of severe weather. Balto the dog knew where he was going, even when the musher did not. The annual race commemorates Balto’s heroism in saving the lives of the people of Nome. Specific Purpose: To describe the annual Iditarod Trail Sled Dog Race. Central Idea: It’s a long and dangerous race. The 1150-mile, ten- to seventeen-day race goes through wilderness with widely spaced checkpoints for rest, first aid, and getting fresh dogs. A musher, or dogsled driver, must be at least fourteen years old to endure the rigors of severe weather, exhaustion, and loneliness. A musher is responsible for his or her own food, food for twelve to sixteen dogs, and for making sure they don’t get lost. Reaching the end of the race without getting lost, even in last place, is considered honorable and heroic. The expense of participation is greater than the prize awarded to the winner. By now you can see that there are various ways to approach a topic while avoiding an uninspiring time line. In the example of the Iditarod race, you could alternatively frame it as an Alaskan tourism topic, or you could emphasize the enormous staff involved in first aid, search and rescue, dog care, trail maintenance, event coordination, financial management, and registration. Concepts are abstract ideas that exist independent of whether they are observed or practiced, such as the example of social equality that follows. Concepts can include hypotheses and theories. Specific Purpose: To explain why people in all cultures are ethnocentric. Central Idea: There are benefits to being ethnocentric. Ethnocentrism is the idea that one’s own culture is superior to others. Ethnocentrism strongly contributes to positive group identity. Ethnocentrism facilitates the coordination of social activity. Ethnocentrism contributes to a sense of safety within a group. Ethnocentrism becomes harmful when it creates barriers. Specific Purpose: To expose the audience to three different views of the American Dream. Central Idea: The American Dream is a shared dream, an impossible dream, or a dangerous dream, depending on the perspective of the individual. The concept of the American Dream describes a state of abundant well-being in which an honest and productive American can own a home; bring up a family; work at a permanent, well-paying job with benefits; and retire in security and leisure. Many capitalists support the social pattern of working hard to deserve and acquire the material comforts and security of a comfortable life. Many sociologists argue that the American Dream is far out of reach for the 40 percent of Americans at the bottom of the economic scale. Many environmentalists argue that the consumption patterns that accompany the American Dream have resulted in the depletion of resources and the pollution of air, water, and soil. If your speech topic is a process, your goal should be to help your audience understand it, or be able to perform it. In either instance, processes involve a predictable series of changes, phases, or steps. For some topics, you will need presentation aids in order to make your meaning clear to your listeners. Even in cases where you don’t absolutely need a presentation aid, one might be useful. For instance, if your topic is evaluating consumer credit, instead of just describing a comparison between two different interest rates applied to the same original amount of debt, it would be helpful to show a graph of the difference. This might also be the sort of topic that would strongly serve the needs of your audience before they find themselves in trouble. Since this will be an informative speech, you must resist the impulse to tell your listeners that one form of borrowing is good and another is bad; you must simply show them the difference in numbers. They can reach their own conclusions. Organizing your facts is crucially important when discussing a process. Every stage of a process must be clear and understandable. When two or more things occur at the same time, as they might in the development of Alzheimer’s disease, it is important to make it clear that several things are occurring at once. For example, as plaque is accumulating in the brain, the patient is likely to begin exhibiting various symptoms. Specific Purpose: To inform the audience about how to build an academic portfolio. Central Idea: A portfolio represents you and emphasizes your best skills. A portfolio is an organized selection containing the best examples of the skills you can offer an employer. A portfolio should contain samples of a substantial body of written work, print and electronically published pieces, photography, and DVDs of your media productions. A portfolio should be customized for each prospective employer. The material in your portfolio should be consistent with the skills and experience in your résumé. In a speech about the process of building a portfolio, there will be many smaller steps to include within each of the main points. For instance, creating separate sections of the portfolio for different types of creative activities, writing a table of contents, labeling and dating your samples, making your samples look attractive and professional, and other steps should be inserted where it makes the most sense, in the most organized places, in order to give your audience the most coherent understanding possible. You’ve probably noticed that there are topics that could be appropriate in more than one category. For instance, the 1980 eruption of Mt. St. Helen’s could be legitimately handled as an event or as a process. If you approach the eruption as an event, most of the information you include will focus on human responses and the consequences on humans and the landscape. If you approach the eruption as a process, you will be using visual aids and explanations to describe geological changes before and during the eruption. You might also approach this topic from the viewpoint of a person whose life was affected by the eruption. This should remind you that there are many ways to approach most topics, and because of that, your narrowing choices and your purpose will be the important foundation determining the structure of your informative speech. One issue to consider when preparing an informative speech is how best to present the information to enhance audience learning. Katherine Rowan suggests focusing on areas where your audience may experience confusion and using the likely sources of confusion as a guide for developing the content of your speech. Rowan identifies three sources of audience confusion: difficult concepts or language, difficult-to-envision structures or processes, and ideas that are difficult to understand because they are hard to believe.Rowan, K. E. (1995). A new pedagogy for explanatory public speaking: Why arrangement should not substitute for invention. Communication Education, 44, 236–249. The following subsections will discuss each of these and will provide strategies for dealing with each of these sources of confusion. Sometimes audiences may have difficulty understanding information because of the concepts or language used. For example, they may not understand what the term “organic food” means or how it differs from “all-natural” foods. If an audience is likely to experience confusion over a basic concept or term, Rowan suggests using an elucidating explanation composed of four parts. The purpose of such an explanation is to clarify the meaning and use of the concept by focusing on essential features of the concept. The first part of an elucidating explanation is to provide a typical exemplar, or example that includes all the central features of the concept. If you are talking about what is fruit, an apple or orange would be a typical exemplar. The second step Rowan suggests is to follow up the typical exemplar with a definition. Fruits might be defined as edible plant structures that contain the seeds of the plant. After providing a definition, you can move on to the third part of the elucidating explanation: providing a variety of examples and nonexamples. Here is where you might include less typical examples of fruit, such as avocados, squash, or tomatoes, and foods, such as rhubarb, which is often treated as a fruit but is not by definition. Fourth, Rowan suggests concluding by having the audience practice distinguishing examples from nonexamples. In this way, the audience leaves the speech with a clear understanding of the concept. A second source of audience difficulty in understanding, according to Rowan, is a process or structure that is complex and difficult to envision. The blood circulation system in the body might be an example of a difficult-to-envision process. To address this type of audience confusion, Rowan suggests a quasi-scientific explanation, which starts by giving a big-picture perspective on the process. 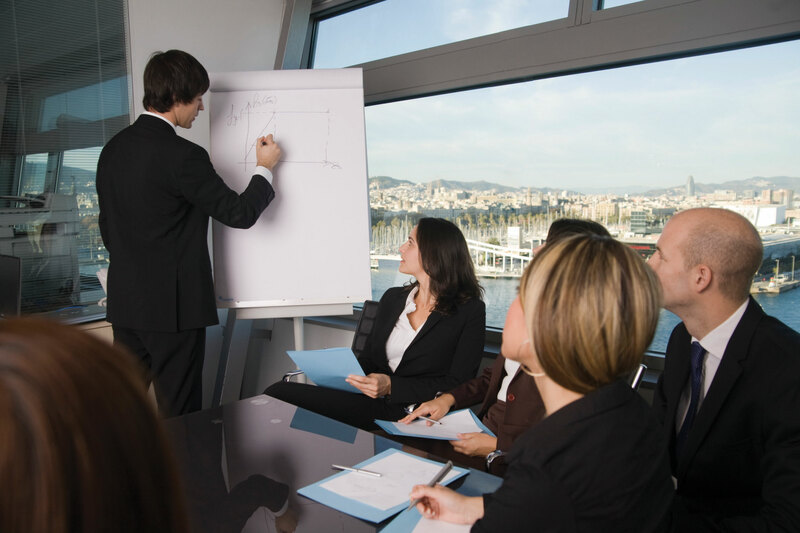 Presentation aids or analogies might be helpful in giving an overview of the process. For the circulatory system, you could show a video or diagram of the entire system or make an analogy to a pump. Then you can move to explaining relationships among the components of the process. Be sure when you explain relationships among components that you include transition and linking words like “leads to” and “because” so that your audience understands relationships between concepts. You may remember the childhood song describing the bones in the body with lines such as, “the hip bone’s connected to the thigh bone; the thigh bone’s connected to the knee bone.” Making the connections between components helps the audience to remember and better understand the process. A third source of audience confusion, and perhaps the most difficult to address as a speaker, is an idea that’s difficult to understand because it’s hard to believe. This often happens when people have implicit, but erroneous, theories about how the world works. For example, the idea that science tries to disprove theories is difficult for some people to understand; after all, shouldn’t the purpose of science be to prove things? In such a case, Rowan suggests using a transformative explanation. A transformative explanation begins by discussing the audience’s implicit theory and showing why it is plausible. Then you move to showing how the implicit theory is limited and conclude by presenting the accepted explanation and why that explanation is better. In the case of scientists disproving theories, you might start by talking about what science has proven (e.g., the causes of malaria, the usefulness of penicillin in treating infection) and why focusing on science as proof is a plausible way of thinking. Then you might show how the science as proof theory is limited by providing examples of ideas that were accepted as “proven” but were later found to be false, such as the belief that diseases are caused by miasma, or “bad air”; or that bloodletting cures diseases by purging the body of “bad humors.” You can then conclude by showing how science is an enterprise designed to disprove theories and that all theories are accepted as tentative in light of existing knowledge. Rowan’s framework is helpful because it keeps our focus on the most important element of an informative speech: increasing audience understanding about a topic. Honesty and credibility must undergird your presentation; otherwise, they betray the trust of your listeners. Therefore, if you choose a topic that turns out to be too difficult, you must decide what will serve the needs and interests of the audience. Shortcuts and oversimplifications are not the answer. Narrow your topic in a different way. Start over with a new topic. Your goal is to serve the interests and needs of your audience, whoever they are and whether you believe they already know something about your topic. A variety of different topic categories are available for informative speaking. One way to develop your topic is to focus on areas that might be confusing to the audience. If the audience is likely to be confused about language or a concept, an elucidating explanation might be helpful. If a process is complex, a quasi-scientific explanation may help. If the audience already has an erroneous implicit idea of how something works then a transformative explanation might be needed. Choose a topic such as “American Education in the Twenty-First Century.” Write a new title for that speech for each of the following audiences: financial managers, first-year college students, parents of high school students, nuns employed in Roman Catholic schools, psychotherapists, and teamsters. Write a specific purpose for the speech for each of these audiences. Think about three potential topics you could use for an informative speech. Identify where the audience might experience confusion with concepts, processes, or preexisting implicit theories. Select one of the topics and outline how you would develop the topic to address the audience’s potential confusion.